Individuals will be invited to randomly select short texts by Kazuo Ohno (1906-2010) and Tatsumi Hijikata (1928-1986), the founders of butoh. These texts will then be read out loud to the listener as s/he is encouraged to close eyes and experience butoh dance by imagining a physical metamorphosis inspired by the words. Please join us for live music and dance, a silent art auction, and a glass of wine. 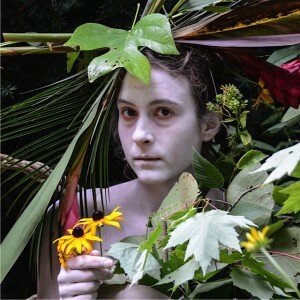 All proceeds benefit Anemone Dance Theater/Legacy Butoh for the production UWABE – Art in The Park, free dance performances in Asheville parks this fall. as well as a silent art auction and exhibit by Sandee Johnson.